In 2007, President George W. Bush directed that Deferred Enforced Departure (DED) be provided for 18 months to certain Liberians in the United States whose Temporary Protected Status (TPS) was expiring on Sept. 30, 2007. President Bush further directed Homeland Security to issue procedures for granting work authorization to DED-covered Liberians. DED has continued to be extended for Liberians since that initial period and was set to expire on March 31, 2018. For more information about DED, see the Deferred Enforced Departure page. 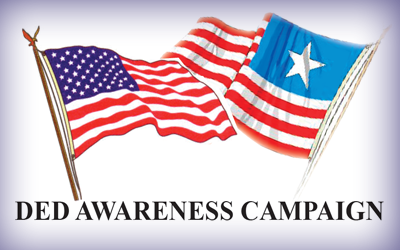 Are a current beneficiary under DED for Liberia. Current Liberia DED-related EADs bearing a March 31, 2018, expiration date and an A-11 category will be automatically extended for 6 months until Sept. 30, 2018. If biometrics are required to produce the secure EAD, we will notify you to schedule an appointment at a USCIS Application Support Center. You may be able to travel as a DED-Liberian beneficiary. To travel outside of the United States, you must file for advance parole using Form I-131, Application for Travel Document. If DHS grants your request, you will have permission to leave the United States and return during a specified period. Possession of an advance parole document does not guarantee that you will be permitted to re-enter the United States. That decision will be made by an immigration officer at the port of entry upon your return. If you leave the United States without first receiving advance parole, you may no longer be eligible for DED and may not be permitted to re-enter the United States. Additionally, if you return to Liberia (even with advance parole), you may be considered as voluntarily returning to Liberia, and therefore no longer eligible for DED.